I am certain that Most of us have experienced the dramatic disturbance of mosquitos and bugs in general. While camping, swimming, picnicking, or simply having a nice evening out in the backyard, you just can’t get rid of those blood-sucking beasts, yes Beasts! You can put mosquito repellent, known as DEET, and wear all the layers you want, sometimes, you just can’t help it. Mind you, it is not the best idea to be putting this chemicals on your body as it is harmful and unhealthy. So here are some Preventative Measures to help you read a Mosquito’s mind and actions. Be sure to follow these as best as you can to enjoy your time. This is the season, for both us and the mosquitoes. Sad, but true! 1. You can avoid getting bit by staying inside around dawn and dusk. 2. Otherwise, Wear light-colored, long sleeved shirts and long pants, hats and socks. 5. Avoid Bananas, as banana oil attracts mosquitoes! 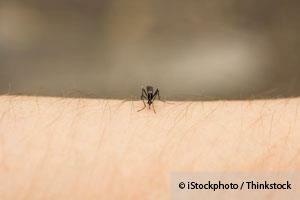 Remember: Mosquitoes are attracted to you when you are sweaty and when your skin is in plain view. Currently, DEET (N,N-diethyl-meta-toluamide) is used in more than 230 different products — in concentrations of up to an astounding 100 percent. If a chemical melts plastic or fishing line, it’s not wise to apply it to your skin — and that is exactly what DEET does.Duke University Medical Center pharmacologist Mohamed Abou-Donia spent 30 years researching the effects of pesticides. He discovered that prolonged exposure to DEET can impair cell function in parts of your brain — demonstrated in the lab by death and behavioral changes in rats with frequent or prolonged DEET use. So here we see how to prevent getting bit, however for more details on these options and remedies for them, please visit the following link as it is important to get detailed information about your options.